Homeowners of all ilks are responsible for maintenance of their homes and the systems that make them warm and clean. 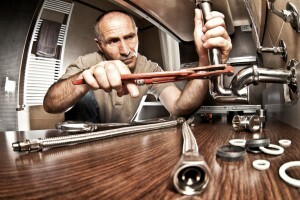 This often means taking care of plumbing systems that are old or frequently malfunction. Indeed, if your sewer is more than 40 years old, you may have to actually replace it. In order to avoid high plumbing repair costs, many homeowners choose to MacGyver their way out of an issue. Unfortunately, many commonly held plumbing solutions are actually myths that are begging to be busted, and often cause more problems down the line. It’s true that running a lemon rind through the garbage disposal will make your drain smell a little bit better, but it won’t actually do anything to clean it. Plus it might cause a clog in the drain. In order to actually sterilize it, you’ll need to use mild dish soap and warm water. In fact, this effort can backfire by displacing too much water and making it necessary to flush twice. Plus, bricks deteriorate over time and can cause other problems with your flapper and toilet tank parts. Wrong! These “flushable” products cause all sorts of problems, mainly clogging up plumbing lines and necessitating major sewer line repairs. Catch these types of clogs early by getting regular sewer line inspections and treating all “flushable” wipes with deep skepticism. Wrong again: one drip per second can waste more than 3,000 gallons per year. That isn’t only a huge toll on our water resources, but also a big deal for the number on your monthly water bill. 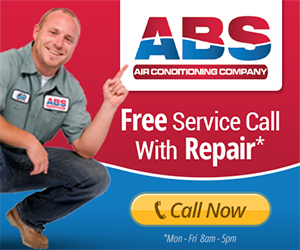 If you have a problem with your plumbing, call a certified plumbing company for plumbing repairs and other vital plumbing services right away. Don’t be afraid to practice preventative maintenance by getting sewer line inspections and home plumbing inspections, especially if you own an older home. The more small repairs you make, the less you will eventually have to spend on something like getting a sewer line replaced or overhauling your commercial or residential plumbing system.